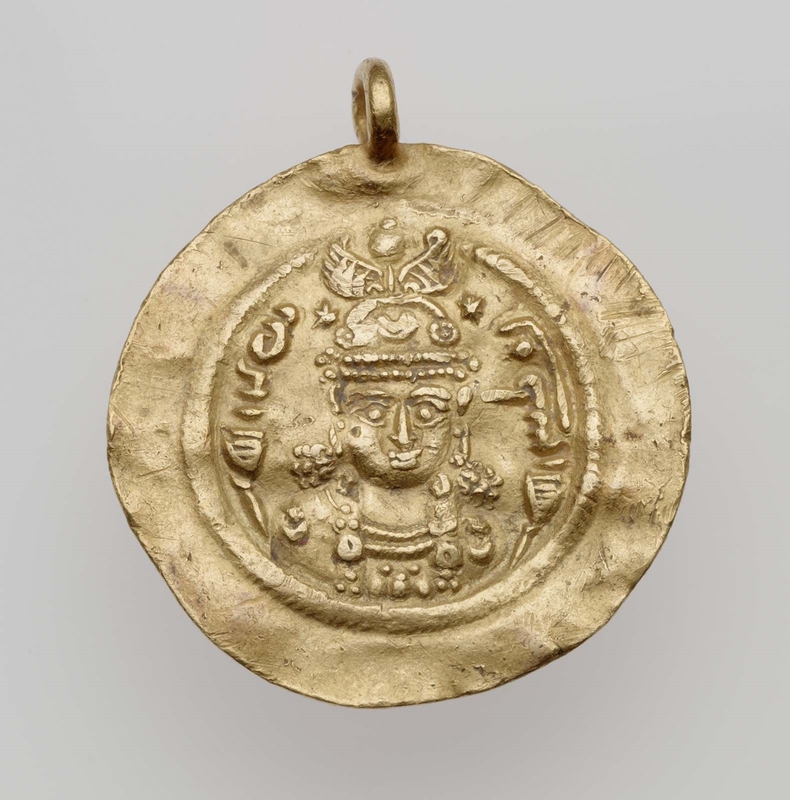 Obverse: Bust of Boran, wearing round crown surmounted by spreading wings enclosing crescent and globe; earrings, necklace, crescent and star on robe at shoulder; grenetis. Inscribed. 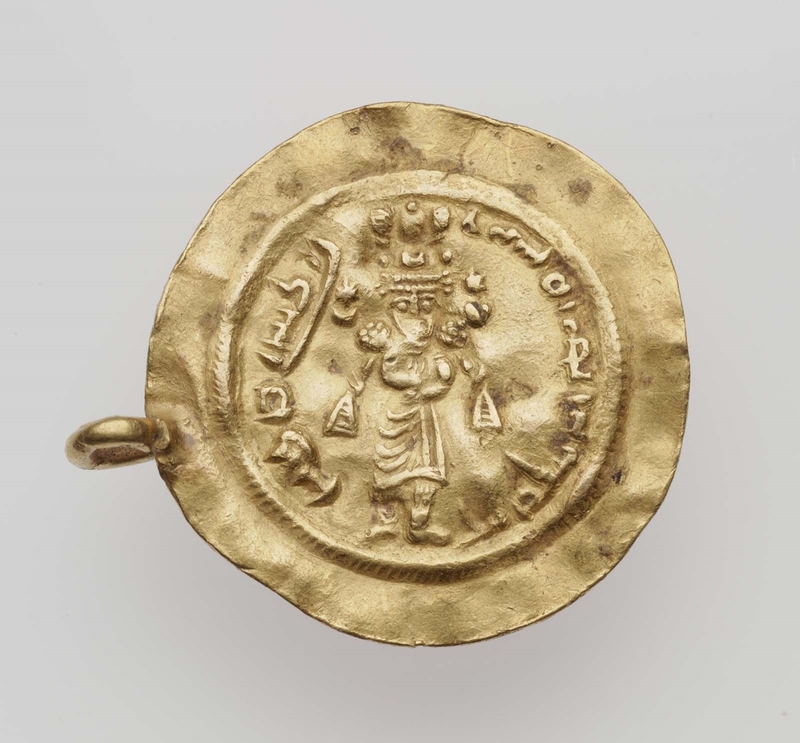 Reverse: Standing figure of Boran, wearing crown; crescent and star on either side; grenetis. Inscribed.